Do you have the grounds to contest a Will? You don’t need to be upset and unsatisfied with the way estate property is distributed, as you can contest the will to get it executed justly. However, you cannot contest a will without the legal grounds to do so. If you think you do have justifiable grounds, it’s not enough to contest the will, but it is also important to begin the process of lawful and adequate distribution of the estate. You will have to demonstrate at least one or more of the several recognised valid grounds for overturning a will to contest its validity successfully. Below is how you do just that. Alzheimer’s disease or any type of dementia is the most common example of the above. Undue influence is one of the principal grounds for contesting a will. When the testator was subjected to undue influence, it means the will was made with the help of coercion, deception, manipulation or intimidation by someone, pressurising the testator. It can cover threats, verbal bullying, physical violence or even simply communicating with a seriously ill testator in a way to influence their decisions. It can be very difficult to produce the evidence of undue influence which is the most common ground to claim that the testator lacked prudence or agreement to the contents of the will. It often means that the deceased didn’t completely understand or approve all the clauses though he/she may have comprehended the points of the will. It can also be argued that when a fully trained and experienced attorney takes several hours to read and understand each content of a sixty-page legal document, an 80-year-old with no experience in and knowledge of legal matters may not have completely understood or accepted all the clauses. 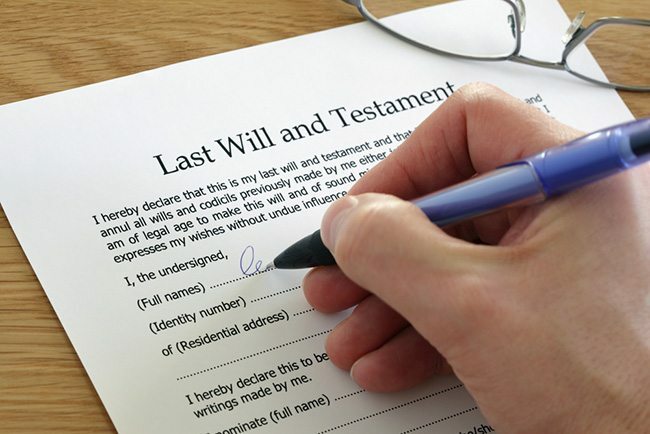 The will is alleged to have been signed by some other person at the discretion and on behalf of the deceased. Acknowledged the testator’s signature in their presence without the necessity of attestation. Remember that it’s a legal presumption that a will has been executed validly unless there’s evidence to the contrary. A will may be invalidated partially or in totality if the contained dispositions are the result of forgery and fraud. When the testator is purposefully misled in making a testamentary disposition based on incorrect or false information intentionally provided for the cause, fraud has occurred. If you can prove that a will or the person allegedly preparing the will signature has been forged, it will declare the will being invalid. Home In Business Advice Do you have the grounds to contest a Will?